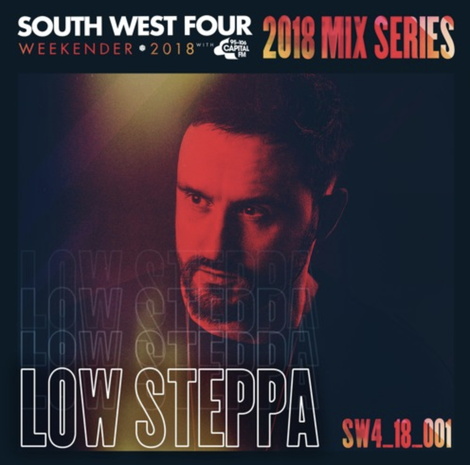 With his label Simma Black doing well, a new party series launched and European shows in Ibiza and beyond this summer, Low Steppa heads to the US for an extensive tour. Last year, 2017 his label celebrated its 100th release with ‘Karma’, a record he produced with singer/songwriter Alex Mills on vocals, and one that led to both label of the month and an artist of the month awards from Beatport last summer. Outside of the studio he performed at gigs including London’s SW4 – where he will perform a B2B set with Idris Elba this summer – EDC Las Vegas, and was also on the bill at seven Defected In The House Ibiza residencies at Eden, including back-to-back sets alongside Sonny Fodera. 2018 has continues with Low Steppa remaining an integral part of Defected’s continuing Ibiza residency, and his single, ‘No Love’ - a house cut with vocals from Ayak – doing well when it was released on Armada earlier this year. This summer he will be playing eight dates in the US, taking in clubs over a two-week schedule.